ABOUT US : Villervalla is a magical world. A world created of colorful fantasies and liberating childishness. A world where games and adventure never end. A world where every child can join in, where every child is welcome. So step into the magical world of Villervalla - a world where children are always children. What do we mean when we say “clothes for kids”? You can mix and match clothes across the whole collection, and the fit of the clothes suites both boys and girls. We create comfortable, stylish, durable and fun clothes. It is very important to us that our garments are free from harmful chemicals. The majority of our clothes are organic and Oeko-Tex certified. 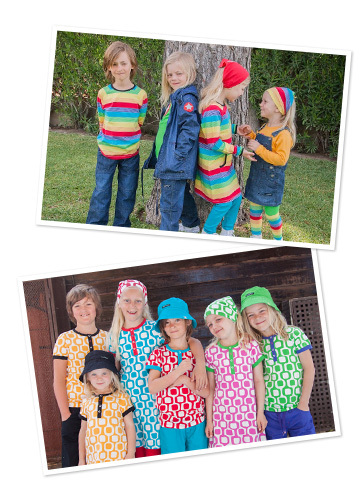 COMPANY BACKGROUND : The CEO and founder of Villervalla, Hanna Håkansson, opened up a children's shop in 1999, and quickly realized that there was a lack of well designed, unisex clothing that would work well for every day use as well as for special occasions. The idea of Villervalla was born. Combining her experience as a shop owner with a strong will, Hanna released her first Villervalla-collection in 2005. The beautiful, comfortable clothes and unique mix & match-concept became a big success. 10 years later, Villervalla runs eight concept stores, has about 50 retailers within Sweden, and more than 150 retailers in 15 different countries around the world.